with the latest Gen 7 Intel® NUC. The most powerful Intel® NUC ever. and space for a whopping 4TB of NVMe all-flash storage. pricing, and service available for complete NUC systems. In spite of its size, this pint-sized powerhouse is packed with surprisingly robust features. Unlike unfinished NUC kits available elsewhere, every NUC you order from SimplyNUC comes complete with your choice of storage and RAM and operating system. With so many features in such a small package, you will rethink what’s possible with Simply NUC systems. Need to embed the NUC into an extremely small enclosure? Looking to drive a better digital signage experience? Want to deploy full desktop functionality with thin-client economy? The Simply NUC systems do things other size-constrained computers simply can’t. Equipped with Intel® Iris Plus Graphics, Full size HDMI 2.0 and Thunderbolt (TM) 3 interfaces, 7.1 surround sound, and an Intel® HD Audio jack, the latest Simply NUC systems render razor sharp text, stunningly smooth graphics and superior sound for prettier presentations, ultra-vivid 4K video playback and the ultimate home theater experience. As the Industry leader in Small Form Factor Computing, Simply NUC specialises in Providing Custom Solutions and Cutting-Edge Technology to all our customers and partners. Great build and setup from SimplyNUC. Customer support is beyond awesome. Thank you SimplyNUC and congratulations on providing the bleeding edge for us “small format” types. Introducing Intel® NUCs with 8th Generation Processors, the most advanced Ultra Small Form Factor Computers on the planet! 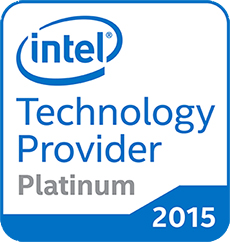 As a Platinum Level Intel Partner For the last 5 years and counting, we are able to provide the best Product, Pricing, and Service in the Industry. Are you interested in configuring an Intel NUC for a specific need? Are you looking for great processing power, large storage devices, and low prices? Do you need to order units that compete with regular-sized desktop computers for your business? Do you want a cutting-edge device for personal uses like gaming and multimedia projects? You’ll find what you’re looking for here, and we will build and support the unit for you. View our full line of configurable NUC products here! Specialized units tailored to specific needs for enterprises and enthusiasts. Are you just looking for a pre-configured, simple to use, small form factor device for your home? Are you just trying to replace or set up a home entertainment system and looking for a device to bring it all together? Do you just need a quiet, low-wattage computer to use in your home office? Look no further! NUCs for Home are the perfect way to get your feet wet in the world of Intel NUC devices. Pre-built, easy to use systems for your home or small office.